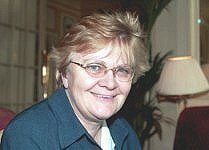 Barbara Ward, Telford & Wrekins first Director of Housing Health and Care, and former Mayor of Much Wenlock, who dedicated her working life to social care, died at Uplands Nursing Home in Shrewsbury on November 5 aged 72.& She had suffered from dementia for several years. Today's newly published NHS Mandate 'positively illustrates the common purpose which will help us all in health and social care as we move forward,' according to directors of adult social services. 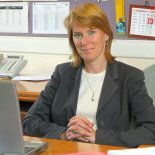 The association of directors of adult social services (ADASS) has extended its membership to include assistant directors and a number of other senior managers within the local authority - a move designed to bring 'crucial additional strength to the voice of adult social care at a pivotal time in the development of adult services. Directors of adult social services have broadly welcomed todays survey results from the NHS Confederation concerning social care budgets, but disagree with some of the detail it contains. ADASS President, Sarah Pickup has expressed the Associations appreciation of CQC Chair Jo Williams contribution to social care. Ms Williams announced her retirement today after three years as the Commissions chair. Directors of adult social services have added to the tributes to Sir Alf Morris, the first ever Minister for Disabled People, who died recently. Sir Alf pioneered the Chronically Sick and Disabled Persons Act which, according to ADASS President Sarah Pickup, did so much to build the rights of all disabled people into the very fabric of our legal, social and moral thinking. Sarah Pickup, ADASS President warmly welcomes the recent report "Everyday Excellence" from the National Skills Academy for Social Care, as a step forward in recognising and supporting the critical and highly valued role played by Registered Managers. Directors of adult social services have welcomed publication of a code of conduct and minimum training standards for social care workers working with adults. The Code*, issued jointly by Skills for Care and Skills for Health, has been supported by the ADASS Workforce Network throughout its development. Directors of adult social services have committed themselves to working wholeheartedly with the new Mental Health Framework published by the Department of Health this morning. Today's Nuffield Trust report into Health and Social Care funding has demonstrated once again the need for urgent attention to be paid to the demographic and demand pressures on health and social care budgets. Attention needs also to be paid to options for funding, and the implications of different approaches for wider public sector spending, according to ADASS. Embargo: ImmediateDirectors of Adult social services have expressed their appreciation at the work the General Social Services Council has done on behalf of social work since it began regulating the profession. Directors of adult social services have expressed their dismay at the findings of a Care Quality Commission inspection of services for people with learning disabilities and challenging behaviours, published today. Directors of adult social services in England are in the process of taking £890 million out of the nations total social care budget between April this year and March 2013. This figure is taken from a budget survey conducted by the Association of Directors of Adult Social Services throughout April/May 2012, and which achieved a near-100 per cent response rate. Directors of adult social services have welcomed todays announcement that David Behan, currently Director General for Social Care, Local Government and Care Partnerships at the Department of Health, is to become the new Chief Executive for the Care Quality Commission. Directors of adult social services have welcomed the broad thrust of the governments ten-year framework for a health and social care information strategy*, arguing that "the move, over the next decade, towards the greater integration of commissioning and service provision inevitably demands a closer relationship between the two services over the management of information." The Association of Directors of Adult Social Services has paid tribute to the life and work of Dr Glenys Jones, OBE, who sadly died last Wednesday. She was, according to ADASS Honorary Secretary Richard Webb, a towering figure in adult social care and will be sorely missed. In the wake of the transfer of Southern Cross owned residential homes to a number of other care home providers, Andrew Kerslake from the Institute of Public Care offers a closely-argued guide to how similar problems can be avoided in future in the current issue of ADASS Futures - the journal of the Association of Directors of Adult Social services. The current need to reduce budgets alongside pressures from a wide range of alliances and pressure groups could leave adult social care frozen like rabbits in the headlights: "With no chance of an emergency stop, the results would not be pretty." The Association of Directors of Adult Social Services has moved to reassure care home residents, the public, and politicians of their faith in the long-term security of Four Seasons by circulating a second Viability Analysis* of the care home providers place in the care market. Four Seasons took over the running of some 140 Southern Cross homes after the latter failed. In all the company runs some 455 care homes. Todays report from the House of Commons Health Select Committee underlines the absolute necessity of providing a solution to the problems of a broken social care system as rapidly and as conclusively as possible. According to ADASS President Peter Hay nearly nine million older people in England are looking to Government and Opposition parties to provide a greater measure of security and assurance in their declining years than currently may be the case. Todays report from the House of Commons Health Select Committee* is "a timely reminder to the health service in England that it now needs to look outwards towards new ways of working with local government and community care services at a time when, understandably, its agenda seems to have been focused on its own internal and structural concerns," according to Peter Hay, President of the Association of Directors of Adult Social Services. Directors of children's and adults services have welcomed decisions by The College of Social Works (TCSW) Transition Board which have led to TCSW opening its doors to members for the first time. The College began accepting members from January 3 2012. Adult social services directors have welcomed todays Department of Health announcement that additional sums of money are being made available for social care and housing support. According to ADASS President Peter Hay, the extra funding will ease some of the pressures facing adult social care, and further our objective of working in an ever more integrated way with NHS colleagues.